With over 5 million apps available between Apple and Android’s app stores alone, it can be confusing to decide which ones you should download and which ones you should ignore. There’s just too much to choose from. Not only are there more apps than we can fathom, but there’s only so much time and mind space we have to consume them all. That’s why we’ve filtered the rejects to bring you the apps that will have the biggest impact in our lives, with the least amount of effort. Need peace of mind? Facing stress or anxiety? Or maybe there’s just not enough time in the day. Headspace may be the answer for you busy bees. With only 10 minutes of your time, this app will guide you through a simple, yet powerful, meditation practice that is guaranteed to help you smile more, sleep better, and love better. You should sit in meditation for twenty minutes every day — unless you’re too busy. Then you should sit for an hour. Curve allows you to spend from any of your accounts using just one Curve Mastercard®. Be it a physical card, or via the app. You load your Mastercard or Visa debit and credit cards to the Curve app, and spend using just the Curve Mastercard® (more information on loading your cards to the Curve app here). You can select the account that you would like to pay with using Curve by simply opening the app and tapping a bank card – that account will instantly become “active”, ready for you to spend with. Whenever you spend with Curve in-store, online, or via ATMs, they’ll charge the account that you have selected in the app (this is done in seconds while you’re at the till!) and you can check your spend history and your currently active card in the app anytime. Definitely worth a download, it is free after all. Accessible for both Android and iPhone users. I’m sure you’ve heard of Netflix? Well, think of this as Netflix for language lessons. Rype offers unlimited one-on-one lessons (in Spanish, French, Mandarin, Italian and many more), live online classes and premium video lessons for a simple membership fee. If you’ve ever wanted to learn a new language to take your career to the next level, build a deeper relationship with friends or family, or for travel purposes, this is your opportunity! Booking a lesson takes less than 15 seconds, and lack of time will never be an excuse for you again. An oldie but goodie. 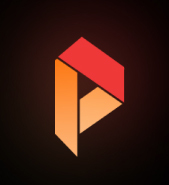 This app probably needs no introduction. Despite some sketchy and questionable lawsuits that Uber has been through, you can’t question the convenience and value that this app provides. Whether it’s providing a side hustle for struggling artists, entrepreneurs and students in some cases, or saving us all the hassle of calling a cab, Uber is indeed a game changer. If you’re like me, then you probably spend the majority of your day staring at a screen, whether it’s your desktop, tablet, MacBook or mobile. 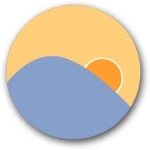 Eye strain is one of the most common problems we face, and F.lux has solved this issue. This free widget adjusts the lighting of your screen, depending on the time you set in the preferences, so you’re no longer staring at a flashlight pointing towards your face. Say goodbye to tired-looking eyes! You can download it for Android devices, but seeing as Apple has sneakily made it the night-shift mode on their products you can get it for your desktop here. 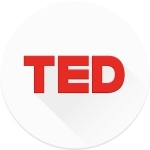 TED, which stands for Technology, Education, and Design, requires no introduction. I’m sure you’ve all heard about the famous TED talks at some point. This global event attracts some of the finest leaders across the world, from Tony Robbins, to Bill Gates. Real people, heartfelt stories, and eye-opening insights are shared on stage.  The best part is that you don’t need to pay in excess of £3,500 for a ticket to watch these talks — they’re all available for you to see online for free! This one is for all your gym-goers who don’t like to be restricted to one place of working out. Well first of all there’s no inductions, because let’s be honest when you go to a new gym you spend 30 minutes of them showing you how to use equipment you’re already familiar with. There’s no joining fees, you can start and stop when you want. 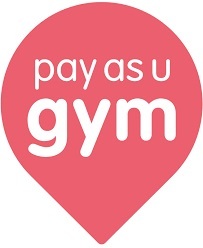 You have access to over 2,700 gyms in EVERY city in the UK; and of course they guarantee the best prices. If you’re looking for a motivational app that helps you change your life, this is definitely the one. It keeps the life coach premise but eggs you on with slightly cheesy self-help sayings and inspirational voice recordings, and it regularly tells you why you are trying so hard. This style of motivation works perfectly for students, so give it a try and see if it does the trick for you. 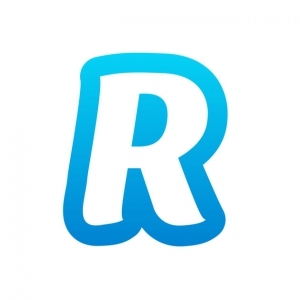 Revolut launched in July 2015 and honestly if you’re an avid traveller, this will help you out a lot! Normally, when you go abroad you’re always forced to go to your local Post Office or Bureau De Change to convert currency and spend physical cash. But with this app you can spend an unlimited amount of money with their card for free! With no international transaction fees, free international money transfers and always at the interbank live exchange rate; whether it’s for Business or Leisure, Revolut is the only banking alternative designed for your global lifestyle. Available for both Android and iPhone users. Read more about it here. 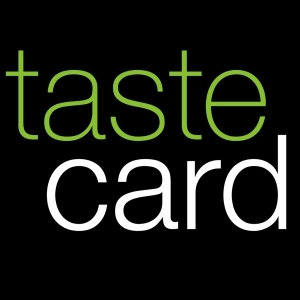 Tastecard began life as tastelondon in 2006 with two main aims; to help local restaurants by encouraging people to eat out more often, and to help make eating out more affordable. Starting with just 150 restaurants in Central London they grew and re-branded to tastecard in early 2010 and now have over 2,500 nationwide restaurants on their roster. All diners in a party can eat and receive a 50% discount on their food, even with just one tastecard member in the party. However, please do check with the individual restaurant for the maximum numbers permitted per tastecard booking. 2 meals for the price of 1 is available for two people only and is across all courses ordered; the cheapest or equivalent dish of each course being free. Side dishes and extras are not included. I use this app all the time and it’s available on both Android and iPhone. If you’d rather be making apps than downloading them, take a look at our range of digital technology and computing foundation and degree courses at CU Coventry, CU London and CU Scarborough.